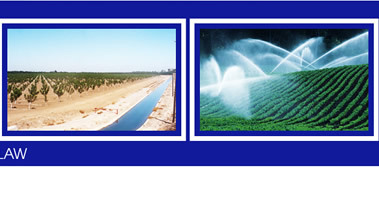 Emphasis in water rights law, water rights evaluations, water rights determinations, water rights defense, local public agency law, public and private contracts, environmental, California Environmental Quality Act, endangered species, land use. Brophy Water District, Camp Far West Irrigation District, Feather Water District, Tuolumne Utilities District, Reclamation Districts 341 and 1601, Hallwood Irrigation Company, Juliana Mutual Water Company, Lake Alpine Water Company, Tudor Mutual Water Company, Magoon Estates Ltd., CEMEX Inc., Clos Du Val Winery, Williams Selyem Winery, LLC. Special Water Counsel: Cities of Lincoln, Vallejo, and Yuba City. 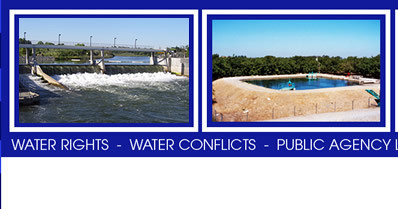 We advise and represent clients in a variety of water rights and environmental matters. Each attorney is licensed to practice in California and has had significant education and exposure to legal and environmental issues. Our focus allows each attorney to provide expertise and in-depth knowledge greater than what would be found at a general practitioner. Also unlike a general practitioner, we routinely represent our clients at administrative hearings at the state and federal level, engage in agency negotiations, and guide water applications and petitions through the permit process. © Copyright Gallery and Barton, a Professional Law Corporation, 2019. All Rights Reserved.